High-quality inorganic color pigments are used by customers worldwide in a range of applications, whether on roofs, walls and roads, in artificial grass, or in laminate floors and plastic products. 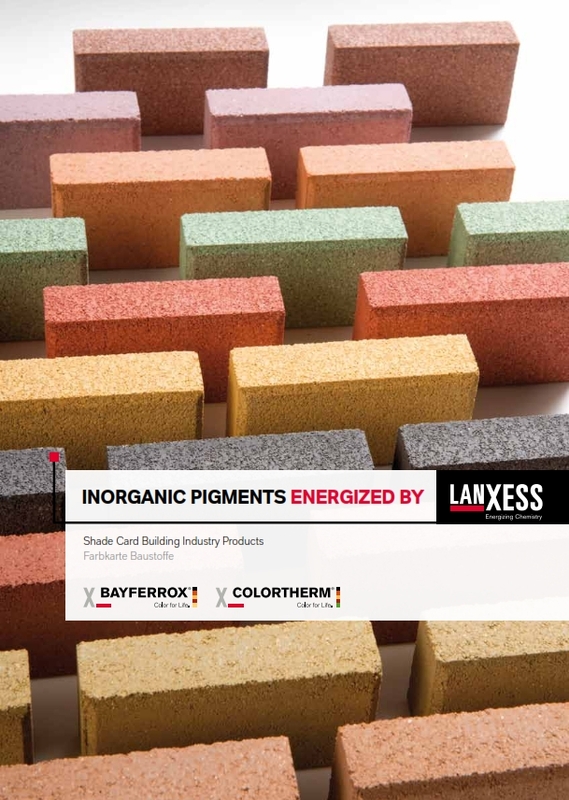 Bayferrox®, Colortherm® and Bayoxide® are the main products of LANXESS Inorganic Pigments. They are successfully used in numerous applications in various industries. The high tinting-strength products of the Bayferrox® and Colortherm® lines are used to impart an aesthetically pleasing appearance to construction materials such as cast in-situ concrete, pre-cast concrete components, concrete roofing tiles, pavers and asphalt. The extraordinarily lightfast and weather-stable products are, depending on the field of application, available in powder, slurry compact pigment and granular forms. The color range includes Yellows, Oranges, Reds, Greens, Browns and Blacks with a wide variety of additional shades in between. All LANXESS products are distinguished by their high quality and quality consistency as well as by their ease of dispersion. The pigments are manufactured using high-tech, state-of the-art and environmentally friendly processes. All production facilities worldwide are ISO certified.